Vector Premium Refined Butane has been around for years and have made a name for themselves based off of excellent quality and amazing consistency. 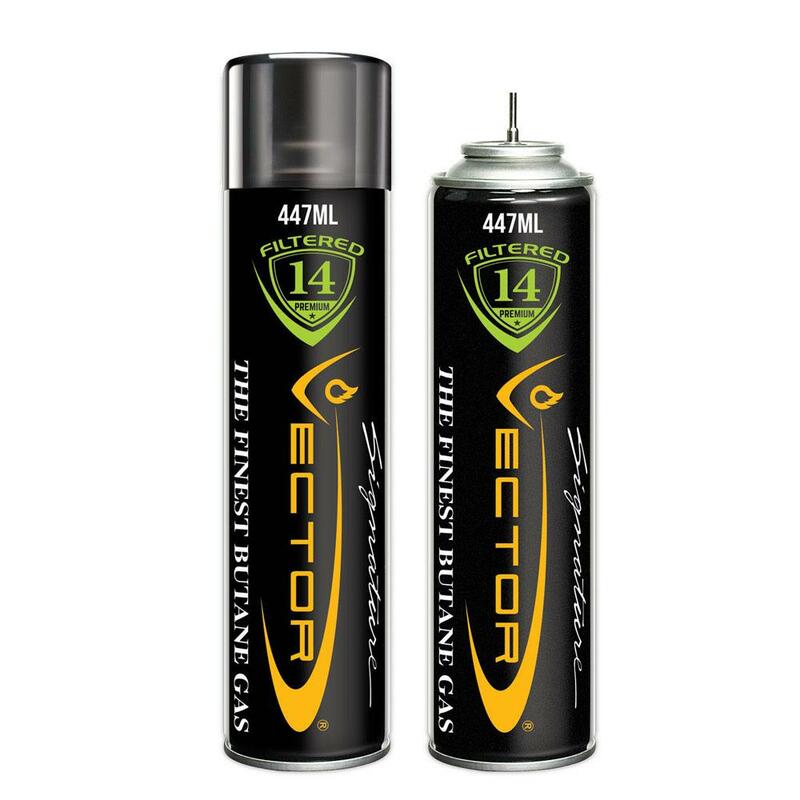 With Vector refining their butane an insane 14 times, it comes out better than the competition each and every time. No matter what you end up having to refill, Vector has you covered with a litany of adapters stored in the cap for convenient refilling. The 447mL can is going to get you an absolute ton of refills to keep all your favorite lighters and torches alive and kicking.